As I’ve already told you a few days ago, I finished a book that took me a while to read. 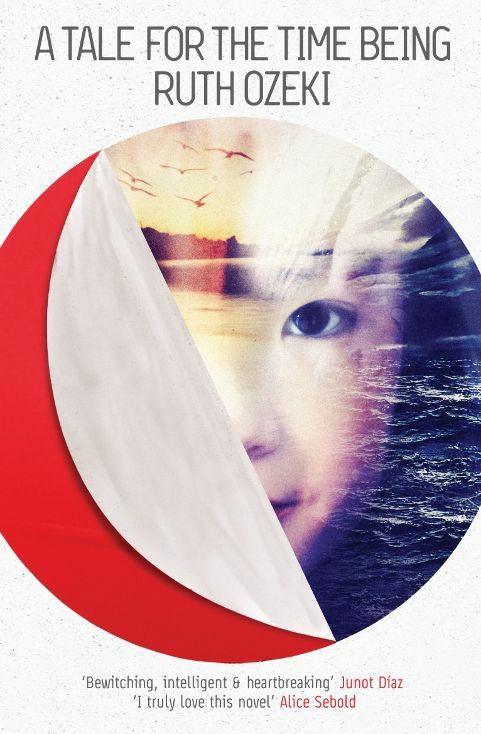 This book is A Tale for the Time Being by Ruth Ozeki, which is currently shortlisted for the Man Booker Prize. I had a copy on my bookshelf from my Book Depository win this spring, so I decided to give it a go. A Tale for the Time Being is mostly set in the 21st century in Japan and Canada. The dominance of the setting changes with the location. The island where Ruth lives felt very clear to me. However, this could be because I’ve already been to British Columbia and Vancouver Island and know what the landscape looks like. But also the temple in Japan and its surroundings were clear, in contrast to Tokyo, which seemed blurry to me. Ms. Ozeki also uses the weather to create and intensify mood especially in Ruth’s chapters. I really like this concept. The two main characters are Nao and Ruth. Even though Nao is 16 years old, she often acts like she is 14 or younger but on the other hand, she does things that (in my opinion) don’t fit her childish behavior. Well, let’s say, Nao has problems, which is hardly surprising if you read her story. Nevertheless, Nao’s character wasn’t always very believable throughout the book. I preferred Ruth. Her character seems to lead a steady life, but if you take a closer look, it isn’t all roses. Ruth is fascinated by Nao’s diary and wants to know all about that girl from Japan. I was really able to connect with Ruth, at least until the last few pages. Two other characters that I think were great are Nao’s father Haruki and Nao’s great-grandmother Jiko. Now on to the hardest part (at least for me). The story. For the first ~125 pages, I had massive problems getting into the book. I was thinking about giving up on reading, because I didn’t care what was going to happen to Nao or to anyone else in the book. The only thing that kept me going was the fact that I hardly give up on a book. So I read on and it did get better. I finally wanted to know about Nao’s (and her father’s) fate. Sometimes, I even felt distracted by Ruth’s story between Nao’s passages. But there were still things that I didn’t like. There was too much talk of Zen Buddhism in the book and, unfortunately, the book started to get quite boring again towards the end (even though I like the main idea of the ending). Maybe A Tale for the Time Being just wasn’t meant for a time being like me. I loved it, but we’re all different, and allowed to be! So thanks for sharing your opinion in your review. That’s what I love about books (and the arts in general) everyone sees them differently 🙂 I’m glad you loved the book.